We are proud to invest in programs at these agencies that support our priorities, through our own funds and/or as partners in Washtenaw Coordinated Funding. United Way of Washtenaw County awards funds for ongoing Program Operations grants, Sector Leadership grants, one-time Capacity Building grants and several other one-time awards. For an overview of all of our most recent investments, click here. For an overview of our available grant funding, click here. Promotes the well-being of Milan Area residents by supporting participants to stay housed, obtain healthy fresh food, supplement prescription costs and get connected to benefits. Our mission is to enhance the lives of older adults and adults with disabilities in the communities we serve. Develops and manages Permanent Supportive Housing (PSH) for people who are homeless and who have a mental or physical disability. Provides supportive services for adults and children living in PSH, with the goals of helping them maintain housing stability, increase self-determination, and build community. Provides children facing adversity with professionally-supported, 1-to-1 relationships through our Community-Based Mentoring (CBM) program. CBM places positive adult role models (Bigs) in the lives of youth (Littles) to: boost confidence, increase academic success, and reduce participation in risky behaviors. Serves our community’s most vulnerable clients, from infants to senior citizens. UWWC invests in several of CSSW’s programs, including at-risk parent education; advocacy and counseling for victims of child sexual abuse; primary care and mental health services for low-income, high risk citizens; and support services to help seniors age in place. A critical part of many seniors' daily lives. Provides a wide array of programs that promote wellness, independent living and social integration. Last year over 1,000 seniors were supported at CSC's facility and beyond, with two major programs, Meals on Wheels (MOW) and Chelsea Community Senior Services (C2S2) that reach out to homebound and isolated seniors in our rural community. CCN's Family Support Program(FSP) began in 1980 in Washtenaw County, and since that time has helped over 10,000 families work toward self-sufficiency, placed 15,000 children in quality early learning and care programs, and helped improve Michigan’s overall economy by supporting over 500 local child care businesses. To expand Ann Arbor residents’ knowledge of how local government works, and to increase participation in civic life through education, information and outreach. Partners with children, youth, and families from under-resourced Washtenaw County neighborhoods to create better futures for themselves, and improve the communities in which they live. Community Family Life Centers develops effective partnerships, links, and liaisons with government, businesses, churches, and community organizations, to strengthen its capacity to address the unique challenges facing individuals, families, children and youth in the community. Offers community-based benefits advocacy & referral coordination to low-income, Manchester residents. Additionally, public benefits education including basic health/nutrition literacy empowers program participants. Provides judgement-free, high-quality, affordable health services (including primary care, mental health, substance use, nutrition and other behavioral health services) to young people aged 12 through 25, and their children. Strengthens family: equipping men, women and youth who are at risk of becoming non-achievers with the skills and resources to become productive citizens with new hope; living purposeful lives with moral and ethical values. The mission of the Fair Housing Center of Southeast & Mid Michigan (FHC) is to end discrimination in housing and public accommodations and to promote accessible, integrated communities. Provides benefits enrollment and advocacy and important provider referral coordination for low-income residents in Chelsea and Dexter. The food bank and food rescue program serving Washtenaw County, works to alleviate hunger and eliminate its causes in our community. Including direct service programs, Food Gatherers works with more than 150 community partners operating food pantries and meal programs throughout the county and annually provides 6 million pounds of food to neighbors in need. Prepares children from low-income households for future academic and social success while providing their parents opportunities for professional, personal, and parental growth. 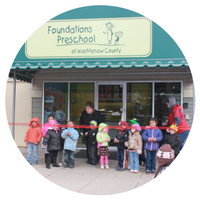 Established in 1934 as Perry Nursery School, Foundations Preschool now serves over 180 Washtenaw County children each year from two locations (Ann Arbor and Ypsilanti). Provides direct assistance and basic needs for individuals and families in crisis or transitioning out of homelessness. Girls Group empowers young women in middle school and high school to achieve emotional and economic self-sufficiency by graduating from high school and becoming first-generation college graduates. Helps people improve their lives and communities through gardening and increasing access to healthy food. You’ll find us working to educate, inspire, and empower the community — in schools, at our urban farm, at our farmers markets, in our downtown Ypsilanti retail shop, and around southeast Michigan. Habitat for Humanity of Huron Valley works to enrich Washtenaw County through a legacy of affordable homeownership for low-income families. Provides Summer Start to Kindergarten program, a new program connected to the HighScope Demonstration Preschool (Ypsilanti, MI) that serves families in the local community, providing high-quality preschool education to children ages 3-5 including Great Start to Readiness Program (GSRP) eligible students. Provides programs and specialized services to empower, protect, encourage, and enrich the lives of those affected by the disease of addiction. Advocates help patients and clients navigate the healthcare insurance system and gain access to coverage. Advocates also connect people with health-education programs and mental health resources both at Hope and off-site. Hope Dental Clinic provides preventive and restorative dental care to uninsured, low-income adults and children. The Housing Bureau for Seniors program coordinators and volunteer staff work to improve housing and related issues, link seniors and caregivers to needed community-based services and prevent evictions and homelessness. They also create community awareness about aging and housing issues through educational programs to a wide variety of community and professional groups. IDEA Buenos Vecinos (IBV) is an emerging collaboration comprised of several partners whose collective mission is to ignite ideas, foster involvement, and promote leadership in the Latinx community. IHN's Emergency Shelter and Support Services Program reduces the number of children and families experiencing homelessness by providing emergency shelter and housing-focused case management. This short-term intervention is designed to house families as quickly as possible, with most housed within 30-50 days. Provides a variety of services to our community’s most vulnerable, including: assisting eligible low income individuals in successfully enrolling in public benefits programs (including local programs) and accessing care and assistance for medical, dental, mental health, substance use disorder and disability needs; specialty food pantry with nutrition education and homebound meal delivery; and services for low-income senior citizens. Ensures access to justice for low income individuals and families in Washtenaw County. For families or senior citizens facing a housing crisis, the most powerful and effective response often includes legal help. 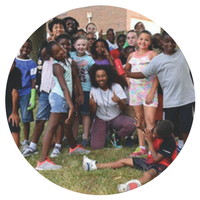 Future Leaders Program is a neighborhood-based program working with at-risk youth that reside in low-income communities or affordable housing complexes. This program focuses on boys and girls grades 2-5. In an effort to reduce the number of people experiencing homelessness in Washtenaw County, Michigan Ability Partner's (MAP) Permanent Supportive Housing program provides case management to extremely low-income homeless participants. The Michigan Organization on Adolescent Sexual Health (MOASH) mobilizes youth voices, engages community partners, and informs decision-makers to advance sexual health, identities, and rights. Serves the older adult population in the greater Milan area. MSHL provides activities, programs, services, and referrals designed to enhance quality of life and encourage aging with independence and dignity. A diverse, youth-driven teen center dedicated to promoting personal growth through artistic expression, community leadership and the exchange of ideas. We fund two programs that support economically disadvantaged youth or youth who are on probation to work toward their academic, career, and leadership goals. We seek to improve the impact and performance of nonprofits by creating high-quality strategic solutions. To strive for continuous improvement in residential quality, character values, services, and neighborhood objectives; whereby citizens and stakeholders will take a strong interest in making West Willow a desirable place to live. Helps young people successfully transition from foster care to adulthood. Helps young people lead safe, healthy, and productive lives through intensive intervention and prevention services, including transitional housing, permanent supportive housing, rapid rehousing, safe shelter for youth in crisis, life skills training, employment support, family relationship support and more. Alternatives for Youth (AFY) program for middle-school youth serves students in grades 6-9 who live in Washtenaw County, designed to help this at-risk population of adolescents to remain focused academically and to develop confidence, self-esteem and leadership as they grow. Provides survivors of sexual assault and domestic violence safe shelter in situations where survivors are facing homelessness or the risk of being hurt or killed. Along with shelter services, SafeHouse provides counseling, legal advocacy, a 24-hour helpline and support group services. Provides basic needs and other support to low-income residents of the Saline school district. Mission is “ending homelessness one person at a time” and is the primary provider of services and temporary shelter for individual adult men and women who are experiencing homelessness in Washtenaw County. Promotes housing stability and family self-sufficiency through collaboration, care and respect. By preventing households from entering, or re-entering, homelessness this program will save our community valuable dollars and ensure that our most vulnerable families are stably housed. Provides youth-driven, family-driven, collaborative, non-legal education advocacy and support to help students in educational crisis stay in school, get back in school, and become more engaged in their learning. 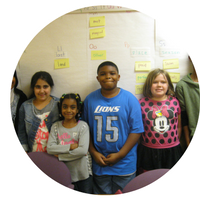 Provides free tutoring for Washtenaw County children in grades 2-5 who are from economically disadvantaged families and are struggling in school. Provides two key services to families and individuals at-risk of or experiencing homelessness: Staples Family Center provides short term emergency shelter to homeless families and individuals for whom prevention and diversion are not an option; and Housing Access for Washtenaw County (HAWC) is the single point of entry for individuals and/or families that are homeless and/or at risk of homelessness in Washtenaw County. Personal Counseling and Advocacy program provides safe, comfortable professional therapy, problem-solving, and support. The Mobile Health Program seeks to increase access to health services and resources for low-income residents by offering screening for HIV and Hepatitis C; harm reduction and overdose prevention services; benefits advocacy; and care management. The Cyber Safety and Cyberbullying/Bullying Prevention Program, is an educational program designed to teach children, youth, parents & community members in Washtenaw County about online dangers, digital protective tools and promote physical & emotional safety. Washtenaw County PORT provides homeless outreach services to adult individuals who have mental illness or co-occurring disorder. Outreach services are intended to engage individuals struggling with homelessness and through relationship building efforts link those individuals to housing solutions, treatment services, and eligible entitlements. Washtenaw County is stronger when all people are able to fully participate in our community and economy. To that end, OCED is committed to stepping out of traditional government roles to drive long-term system changes that increase equity and opportunity.Informed by data and resident voices, we deliver services, invest resources, shape public policy, lead initiatives, and amplify the impact of community partners. The public health department, in collaboration with many partners including community-based organizations, academia, business, labor, health services providers, and others, strives to improve the health of the community by identifying and investigating community health problems and hazards; educating and empowering people about health concerns; developing policies and regulations to protect health and ensure safety; linking people to health services; finding innovative solutions to health problems; and evaluating the effectiveness and accessibility of health services. WISDs Early Head Start is a home based program providing weekly services to eligible pre-natal families and families with children from birth through the age of three. The program is centered on weekly home visits lasting for 1.5 hours where parenting, child development and family needs are addressed. Expands and assures access to health care and improve the health status of low-income, uninsured County residents. In partnership with local health care organizations, the WHP pro- motes, organizes, administers, and nances programs to increase access to health care for persons unable to pay for such care. e WHP is a public-private partnership with Washtenaw County government, University of Michigan Health System, St. Joseph Mercy Health System, and other local health care providers. WHA is a unique coalition of community-based organizations that serve people experiencing homelessness or at-risk of homelessness in Washtenaw County. WHA functions as a collaboration that harnesses the commitment, energy and resources of the public and private sectors, and the community at large, to end homelessness in Washtenaw County. Our organization has over 40 years experience in helping men and women improve their reading, writing, math and English as a second language skills. YCS is committed to a Small Learning Community (SLC) approach. This form of school structure that subdivides large school populations into smaller, autonomous groups of students and teachers will help with the feeling of moving through the school system with a cohort of people a sense of "community" or "family" needed for a higher rate of success. Delivering prepared meals to the homebound elderly, disabled, and ill residents of the City and Township of Ypsilanti, Whitmore Lake, and in Augusta, Superior, Pittsfield and Northfield Townships in southeastern Michigan.